Corrosion is one of the great enemies of the pipes in a plumbing system. 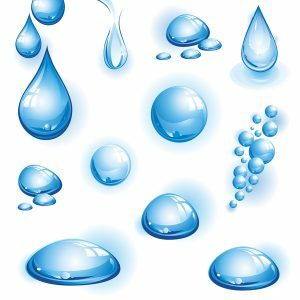 It is the main cause of leaks in residential plumbing, since it weakens pipe metal to the point where leaks will start up in multiple places. Eventually, the corrosion will destroy the pipe entirely. “But I have copper pipes for my home. Copper doesn’t corrode.” Sorry to tell you this isn’t correct. Copper is a corrosion-resistant metal. But the same way that a water-resistant watch isn’t the same thing as a water-proof watch (you don’t want to dunk your watch down in a pool if it’s only water-resistant), a corrosion-resistant metal is not 100%-free from the effects of corrosion. There is a specific type of corrosion that affects copper pipes, and it’s the principal cause of leaking starting in these pipes. Do you have a sump pump installed in your home’s basement? We recommend most homes in the area have one, since it’s the best plan to prevent damage from flooding due to weather or a burst pipe. 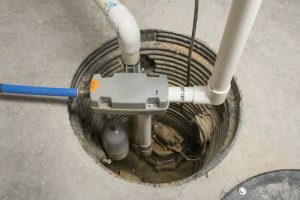 A sump pump activates automatically to remove the excess water from the lowest part of a house and transport it out to the wastewater system, a well, or an outside drainage ditch leading to the storm drains. You already have a sump pump? That’s great. But do you know if you can depend on it to come on and work in case of flooding? A back-up emergency system isn’t much good if it won’t work when it’s supposed to. This is why you always test your smoke and carbon monoxide detectors—and it’s why you should check your sump pump in spring and have it maintained.